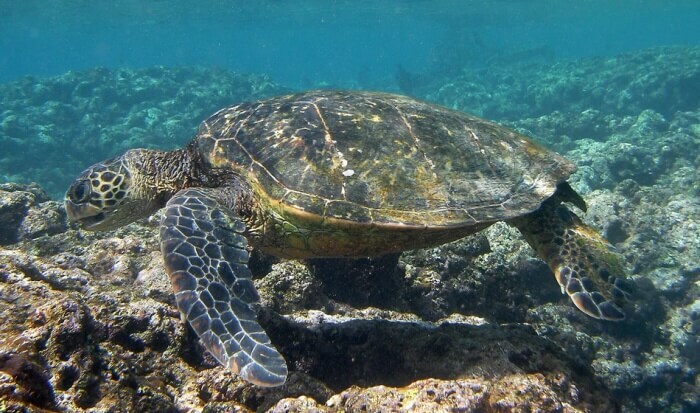 A turtle’s predators depend on its species as well as its location. Common predators for the painted turtle and other land turtles include skunks, raccoons, gulls, foxes, ravens, weasels, crows, herons and other turtles, such as the snapping turtle, while sea turtle predators include killer whales and sharks. All species of turtles are able to protect themselves from predators by crawling into their shell and hiding. However, turtle eggs do not have this ability to protect themselves and it is usually at this stage and the hatchling stage where predators are the most threatening. Predators of the sea turtle, for example, are said to eat 90 percent of all hatchlings.